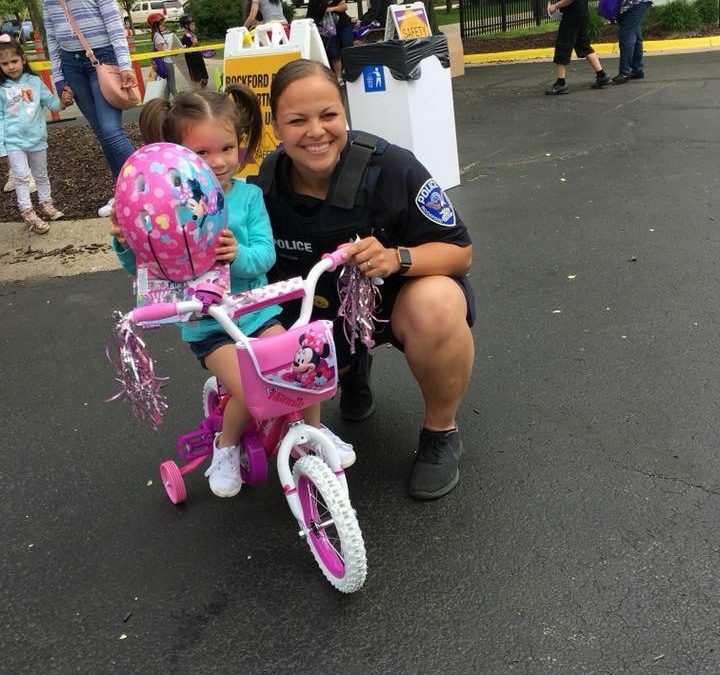 On May 19th the SwedishAmerican Foundation held its annual SAM’s Safety Fair in the Parking lot of the SwedishAmerican Hospital in Rockford. 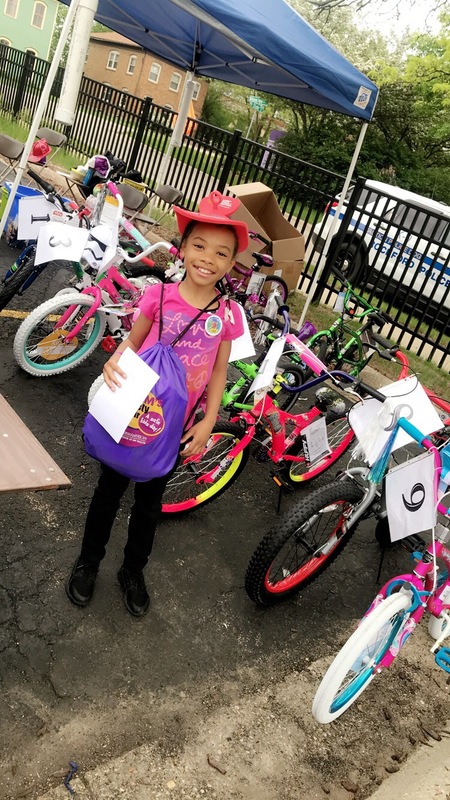 During the Event there were many different activities happening, among them were bicycle safety and K9 demonstrations, several raffles to receive a new bicycle, bicycle safety rodeo, free helmets, while supplies lasted, and meet and greets with local Police Officers and Fire Fighters. 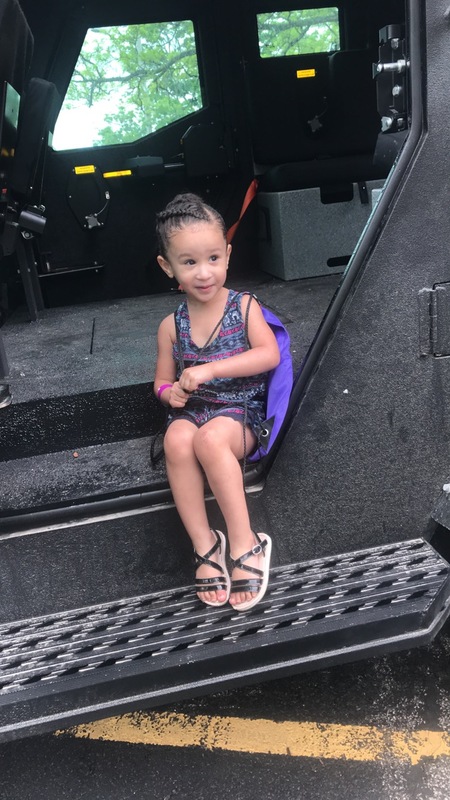 Also, in attendance was Hammy from the Rockford IceHog Hockey team, and SAM the safety fair mascot, both had a blast with the children and families. 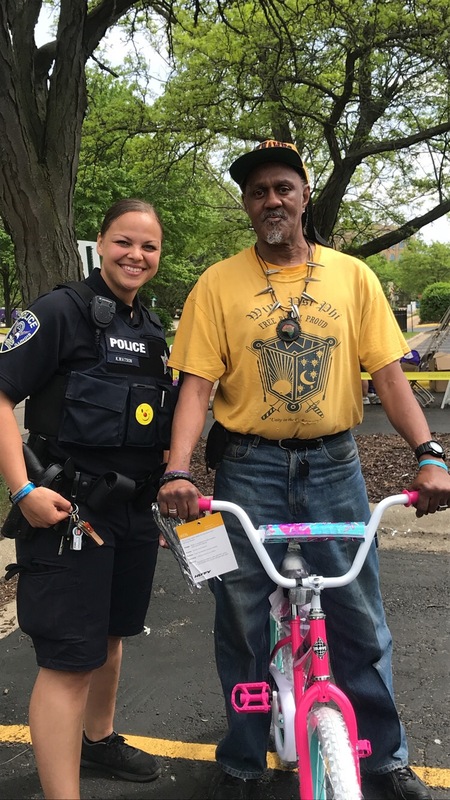 All children received bicycle safety pamphlets donated by the local Bear Family Restaurants and McDonald’s Owner/Operator David Bear. During the Fair sixteen bicycles were given away. Each bicycle winner received six additional coupons to take their friends for a complimentary dessert in celebration of winning a new bike. The children that attended enjoyed time with the officers and going over activity safety books. To learn more about the SwedishAmerican Hospital you can visit their website at https://www.swedishamerican.org/. For any questions on bike safety or any other concerns feel free to contact your local Rockford Police department. Your area contact can be found at http://rockfordil.gov/city-departments/police/. For fundraising opportunities please contact the Community Relations director at julie.travers@comcast.net.